Facial paralysis can occur after a stroke, according to MedlinePlus. In fact, several facial symptoms may result from a stroke. Early recognition of the facial signs of stroke can be key to stroke recovery. According to the National Institute of Neurological Disorders and Stroke (NINDS), a person suspected of having a stroke should get to the hospital as soon as possible for specialized intervention. One of the most obvious facial signs of stroke is droop. MedlinePlus reports that because strokes often affect the muscles on one side of the body, this droop usually occurs only on one side of the face. A person who has had a stroke may appear expressionless on one side of his face and normal on the other side. The affected side of the face may also appear droopy due to decreased muscle tone. A person who has had a stroke may have difficulty smiling. Because one side of the face is often affected while the other is not, only one corner of the person’s mouth may raise into a smile. Due to one-sided facial paralysis, the other side of the mouth may barely move or may not move at all. Because facial paralysis resulting from a stroke is usually one-sided, a person may not be able to raise both eyebrows at the same time. 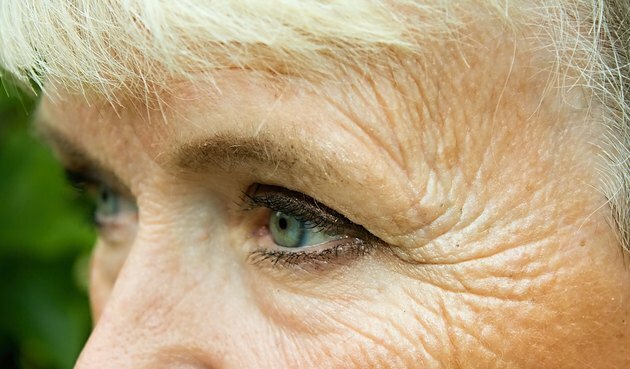 Depending on the severity of the stroke, one eyebrow may even appear to be lower on the face, as the forehead muscles on that side may have low tone. In addition to a facial droop and uneven eyebrows, a person who has had a stroke may have difficulty controlling one of her eyelids. It is common for one eyelid to remain closed or partially closed, even when the other is open. According to the Mayo Clinic, visual problems are common after a stroke. This may be partly due to decreased eye muscle control. A person who has had a stroke may have trouble keeping one eye aligned or may not be able to focus. This can result in blurry vision, double vision or even a decreased visual field (such as tunnel vision or a visual field cut on one side). You may also notice that one of the person’s eyes is turned inward or outward. A person who has had a stroke may have difficulty controlling the movements of his tongue and mouth. According to the Mayo Clinic, this often results in slurred speech. Another facial sign of stroke is a decreased ability to fully move the tongue side to side or up and down. It may also be difficult to fully open and close the mouth. What Are Side Effects After a Mini Stroke?